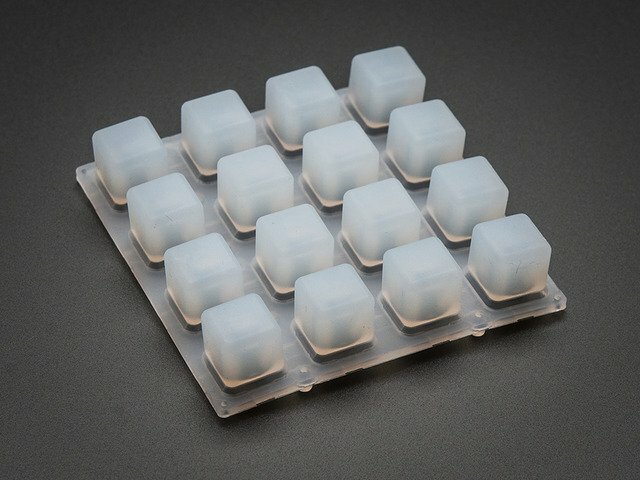 The Trellis PCB is specially made to match the Adafruit 4x4 elastomer keypad. Each Trellis PCB has 4x4 pads and 4x4 matching spots for 3mm LEDs. The circuitry on-board handles the background key-presses and LED lighting for the 4x4 tile. 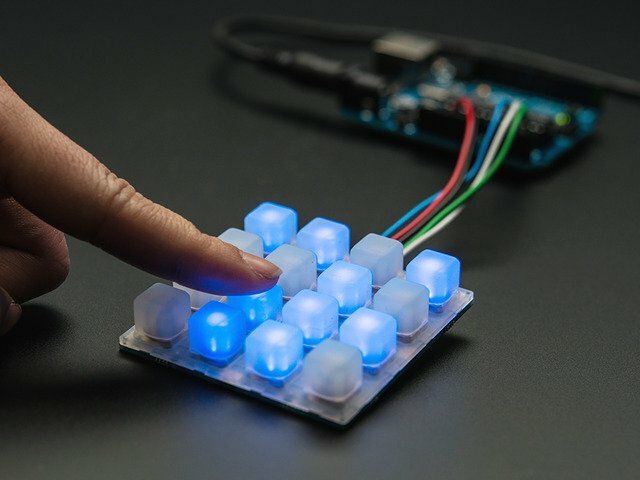 However, it does not have any microcontroller or other 'brains' - an Arduino (or similar microcontroller) is required to control the Trellis to read the keypress data and let it know when to light up LEDs as desired. 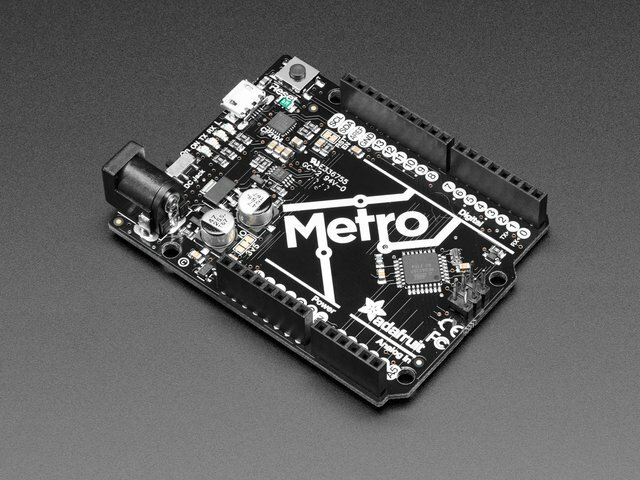 The Trellis PCB comes with all the driver circuitry but doesn't come with LEDs installed! This is because we know people want to get creative with the LED colors - choose any color you like! Diffused 3mm LEDs with 250mcd+ brightness look best. As you can see here, the LEDs sit inside the button cavity and the two button contacts surround it. This allows for the nice frosted LED effect. 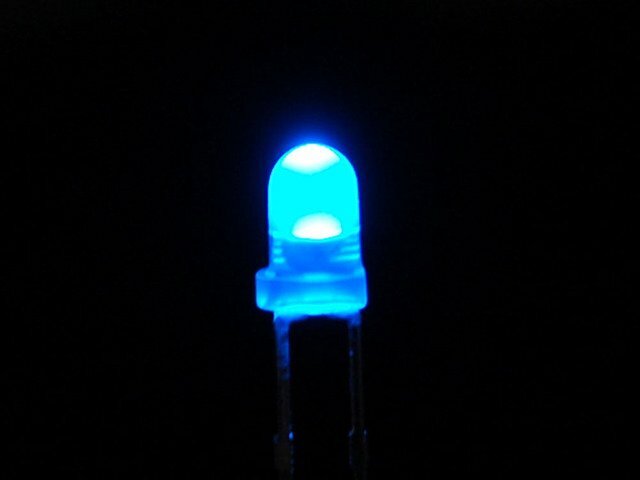 The LEDs are seperately controlled from the buttons - an Arduino or similar is required to read data from the buttons and then write out what LEDs to light up. LEDs have polarity so they have to be installed the right way or they won't work! There's a little + symbol on the left hand LED pads, thats the anode/positive pin. 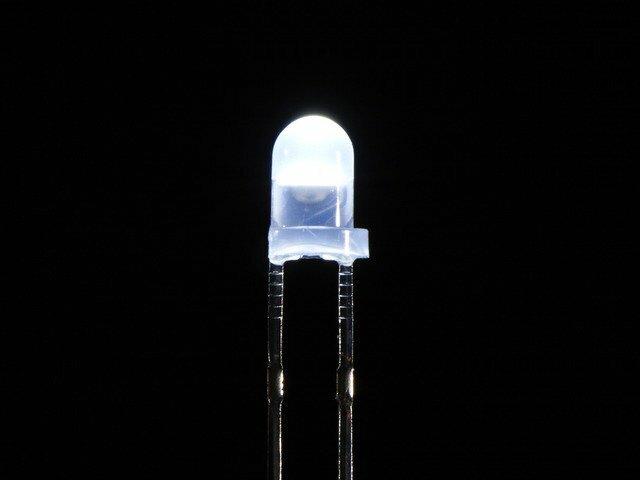 LEDs have a longer leg on the + pin so make sure that pin goes into the + hole. 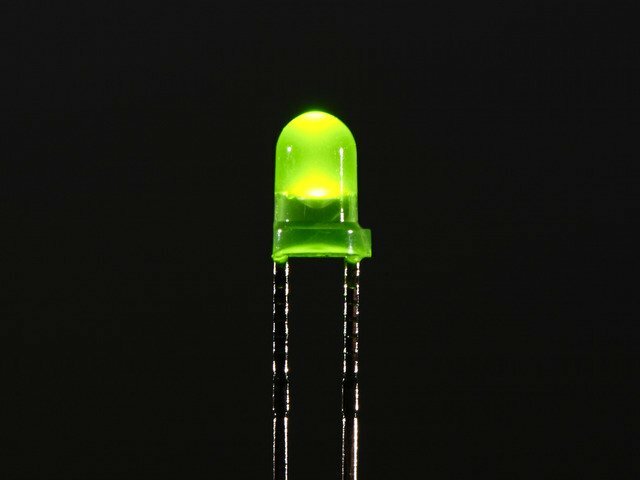 You can do one LED at a time, or all at once, its up to you and how experienced you are in soldering LEDs. Solder each and every LED leg. I like to do one LED at a time.